The human dietary supplement market is huge. People pop handfuls of dietary supplements to help them live to be as old as Methuselah! The logic goes is that what is supposed to be good for me is good for my dog and cat. That is often good advice but there are caveats that pet owners need to be aware of before administering any supplement to their dog and or cat. The pet dietary supplements market is huge! It seems to be growing hand over fist every couple of years. The first thing you need to ask yourself is one question. Does my pet need pet dietary supplements to begin with? For a young, healthy dog or cat that is a big maybe. If the animal is being fed a high quality nutritious diet that is fortified in all the necessary vitamins, minerals and anti-oxidants a dietary supplement is not really needed. Is it a lot healthier to offer a healthy dog one Pet-Tabs® tablet every day instead of dog junk food? Of course it is healthier! The best way to approach this subject is to talk it over with your veterinarian. He or she is a wealth of information, not only about your pet’s health, but what is or is not good for the animal. If you purchase a supplement hold off on its use. I always had clients bring me the bag of XYZ miracle cure before giving it to their dog or cat. What are pet dietary supplements? These are liquids in capsule or powder form that are given orally to a dog or cat to enhance a particular bodily function or management of a medical condition. Pet dietary supplements are regulated by the FDA (Food Drug Administration) but none of them go through the strict drug testing as pharmaceuticals do. A ton of research and studies and money go into making pharmaceuticals as safe as possible. Not so with pet dietary supplements. They often make claims that are not or have never been clinically proven. This is the most common type of supplement given to dogs and cats on a daily basic. Some of the most popular brands include: Pet-Tabs®, Nupro® and Vedco®. They contain essential vitamins and minerals that help to maintain appetites and facilitate biochemical processes in the animal. Cats hate to be pilled. They would sooner take a cold shower than have a pill stuffed down their throats. Nutrical® is a gel like product that comes in a toothpaste like tube. Every cat owner should have a tube handy. It is priceless in geriatric cats. If a cat stops eating for 3 days you had better get something down it to prevent fatty liver disease. Nutrical® fits the bill perfectly. You really cannot give too many B-Complex vitamins to an animal. They are safe pet dietary supplements. B-complex vitamins are water soluble. This means they dissolve in water and any excess that is not needed by the body is secreted in the urine. The same cannot be said of fat soluble vitamins. Unless told by your veterinarian do not give fat soluble vitamin supplements to any pet! They include: D, E, K, A. They are stored in the liver and any excess will lead to liver disease and, or at the least, to bone and blood vascular problems. Be wary of any supplements that contain extra amounts of Calcium. 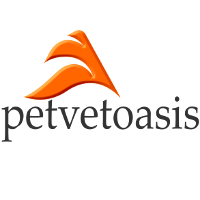 Pet-Tabs® CF contains extra calcium used to prevent eclampsiaThis condition causes a depletion of calcium in the serum. Insufficient calcium in a tiny dog that is pregnant leads to seizure activity. Maternal calcium use, lactation needs and fetal skeleton needs rapidly deplete maternal calcium levels. All tiny breeding female dogs should be supplemented and also put on a high quality puppy food. in toy female dogs used for breeding. For years this product was administered to cats that were suffering from the Herpes I virus. Feline herpes virus is a common respiratory virus in cats that causes sneezing and eye problems. It never goes away and pounces when the immune system is suppressed. L-lysine is an amino acid. Amino acids are the building blocks of proteins. It was thought that L-lysine supplementation stopped Herpes virus replication. This has not happened in research studies. The use of this product is out of favor currently. The supplementation of older dogs and cats with glucosamine and chondroitin that suffer the debilitating effects of arthritis has been a Godsend for these animals. These compounds help to rebuild cartilage. As arthritis progresses bone grinds against bone leading to joint inflammation and pain. Given before signs of arthritis commence will help maintain and rebuild cartilage. It rarely does any good to dogs that are in an advanced stage of arthritis or joint pain. One of the best brands around for dogs and cats is Dasuquin®. MSM is a sulfur based compound that is often combined with glucosamine and chondroitin to improve joint function. Taurine is an important amino acid needed by all mammals. All animals (humans included) except cats are able to manufacture this compound from other metabolic processes. All cat diets have to be supplemented with taurine. Deficiencies in taurine in cats lead to blindness and cardiomyopathy. The latter is a severe heart disease in all aged cats. When a cat does not eat, it does not receive sufficient dietary taurine. The easiest approach is to purchase clam juice. It is available in all supermarkets. I tried it once. It is worse than cough syrup but cats like it for some reason. A small amount administered with a dropper is all that is needed once a day. 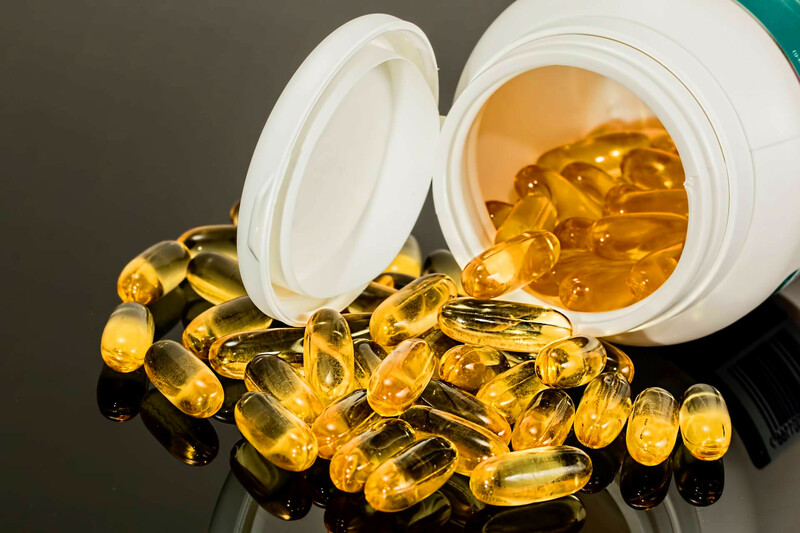 Fish oil capsules are shown in the image at the top of this article. Oils are necessary in all animal diets. Oils provide necessary EFA’s (Essential Fatty Acids) to facilitate many body processes. Supplementation of fish oils help skin health as well as adding luster to an animal’s coat. Fish oils are not the only way to do this. Administering a boiled egg to a puppy once a week or a teaspoon of safflower oil over the food daily will do the same thing. Adding a teaspoon of olive oil to a cat’s diet forever will make a cat’s coat glow in the dark! It is that shiny! Oils also facilitate joint and heart health as well as increasing the “good” type (HDL) of cholesterol. This a bacterial supplementation to augment the natural bacterial flora found in every mammalian gastrointestinal tract. Combined with a strong immune system they facilitate the absorption of healthy breakdown products leaving the unhealthy products in the intestinal tract to be eliminated in the feces. Probiotics help to maintain a healthy immune system and are used to treat and or prevent many gastrointestinal issues. They help keep in check the “bad guys” in the intestinal tract that are capable of producing toxins. Several diseases in dogs require supplementation of enzymes that are naturally produced by the pancreas and secreted into the small intestine for lipid and starch breakdown. The most notable is exocrine pancreatic insufficiency which is seen most commonly in German Shepherd dogs. The endocrine side of the pancreas produces insulin and glucagon, hormones that control blood sugar levels. In pancreatic insufficiency there are not enough enzymes secreted for appropriate digestion of fats and carbohydrates. Treatment involves supplementing a medically prescribed diet with a powder containing those enzymes. One of the common brands used is Viokase-V®. The best advice is to listen to your veterinarian regarding pet dietary supplements. Stay away from all supplements claiming to cure cancer or other age old maladies by just taking a pill! Not all supplements are created equally. Quality control is often lacking. If you purchase a product online make sure that it has a lot number listed somewhere on the label. A consumer telephone number should also be made available. Quality of the product can be assured if there is the seal of an independent testing laboratory that has tested the manufacturer’s product and production facilities for safety and uniformity. Some people administer human dietary supplements to their pets. Some of these products contain small amounts of onion and or garlic powder. These are some of the foods that should not be administered to pets. The best advice is to seek products from your veterinarian. They are manufactured for dogs and cats. Veterinarians have a uncanny ability to sift through the chaff and select the best supplement products for their clients. Veterinarians often use the same products for their own pets. Professionals are also able to fine tune an appropriate dose of a supplement to fit your pet’s needs.